Brace yourself for comic chaos with the rip-roaring play within a play. The NY Post says: "The funniest farce ever written!" Running time: Approximately 2 hours, 30 minutes, including 2 intermissions. The Opening Night performance of the farce Nothing On is just hours away, and as the cast stumbles through their final dress rehearsal, things couldn't be going any worse. With lines being forgotten, love triangles unraveling and sardines flying everywhere, it's complete pandemonium... and we haven't even reached intermission! Can the cast pull their act together on the stage even if they can't behind the scenes? Brace yourself for comic chaos with a rip-roaring new production of Michael Frayn's (Copenhagen) beloved comedy Noises Off, starring an incomparable cast of Broadway favorites under the direction of Tony and Olivier Award nominee Jeremy Herrin (Wolf Hall Parts 1 & 2). 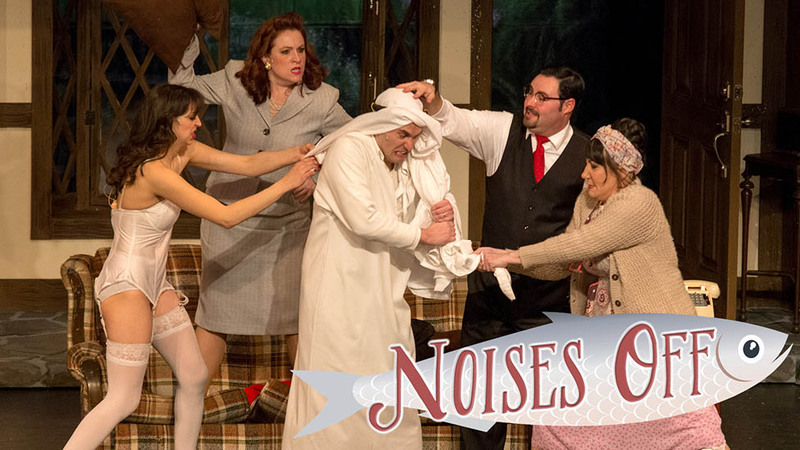 Full of shocking surprises and gut-busting humor, Noises Off is the classic show-within-a-show that "voyages to the outer limits of hilarity" (The New York Times).